The success of portable electronics, remote sensing, and surveillance equipment is dependent upon the availability of remote power. While batteries can sometimes fulfill this role over short time intervals, batteries are often undesirable due to their finite life span, need for replacement and environmental impact. Instead, researchers have begun investigating methods of scavenging energy from the environment to eliminate the need for batteries or to simply prolong their life. While solar, chemical and thermal sources of energy transfer are sometimes viable, many have recognized the abundance of environmental disturbances that cause either rigid body motion or structural vibrations. This paper describes recent research efforts focused on the intentional use of nonlinearity to enhance the capabilities of energy harvesting systems. 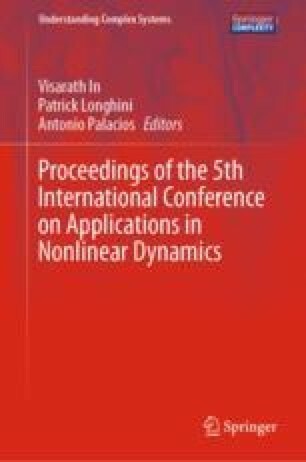 In addition, this paper identifies some of the primary challenges that arise in nonlinear harvesters and some new strategies to resolve these challenges. For example, nonlinearities can often result in multiple attractors with both desirable and undesirable responses that may co-exist. I will describe an approach that uses small perturbations to steer the dynamic response to the desirable attractor, thus leveraging the basins of attraction. Other examples will highlight the potential for nonlinear electromechanical transduction and comparisons for single frequency, multi-frequency, and stochastic environments. Research support from the U.S. Army Research Office is gratefully acknowledged.